Chhota Bheem is here with his gang to play an exciting game of hockey. Join the gang and defeat Kalia and his group. 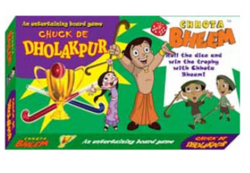 Simply roll the die, follow the instructions and win the trophy for Dholakpur! Theme parties have become the latest trend to have fun time with friends. To make a theme happen all the items to be used in the event are created in the line of the theme like plates, decoration, dresses, food etc. It’s a time for Rejoice. Whether corporate get-together or personal celebration, every party demands an element of exclusivity as per the guests profile, occasion, number of guests, whether conditions & venue orientation etc. And we are having a dedicated team to conceptualize and to fabricate a dream evening for you with many customized & many innovative themes. We conduct Bollywood dance classes that emulates Bollywood dance style. Our bollywood dance classes are offered to men and women alike. Peppy as well as classy, these dance classes are ideal for all special events. Corporate Organizers Pvt. 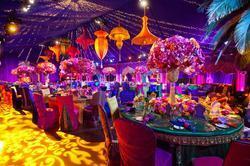 Ltd. providing for you a Bollywood Theme Party . Theme parties from planning special celebrations to corporate functions, hearts of joy creates memorable moments and events. Specialize in Annual Party Planning, Conceptualizing the Complete Idea, Manages Stage Setup, Light, Sound, Music, DJ, Singers, Band, International Artists, Dancers, Musical Show, LED Walls, LED Bars, Bar Tenders, Provide Complete Theme Decoration, Flower Decoration etc as per requirements.All over India. Royal Dreamz Entertainment Pvt. Ltd.